By 2056, well over 1.5 million people will call the Western Parkland City home. Rapid and sustained growth in the South Creek corridor will radically transform the landscape and increase the amount of water moving through it (refer to Figure 47). Around 80 per cent of the Western Parkland City is in South Creek’s large catchment area. This will place pressure on the health of waterways and create challenges for managing stormwater, wastewater and floods. 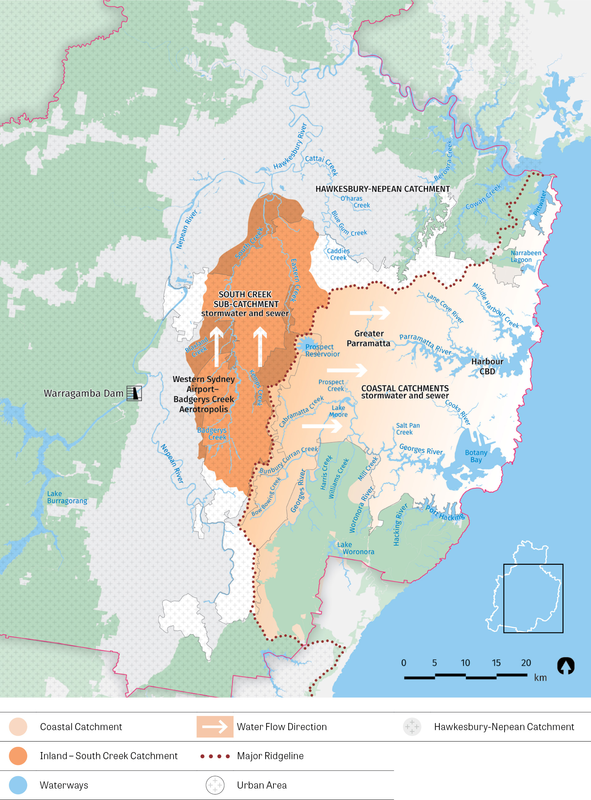 South Creek flows through one of the flattest, hottest and driest parts of Greater Sydney. 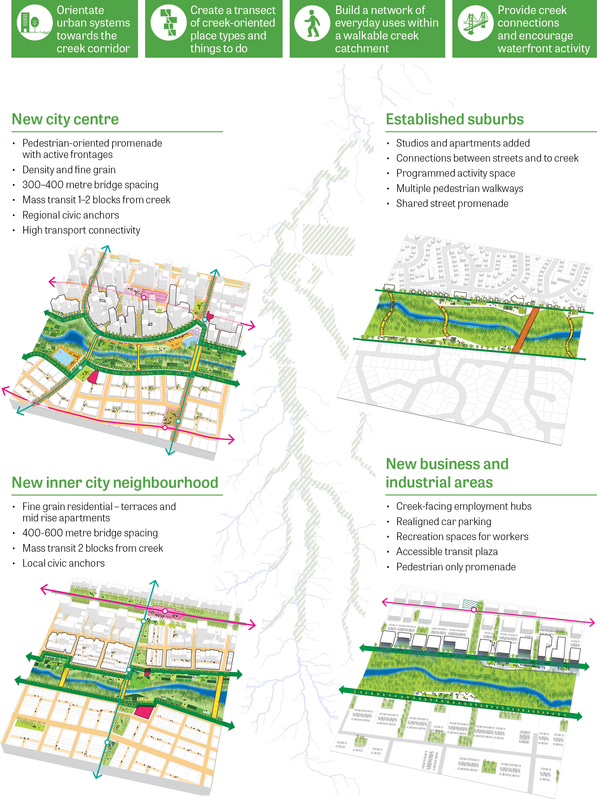 South Creek and its tributaries can form the basis for cool, green and attractive urban communities by retaining more water in the landscape and integrating waterways in the design of new neighbourhoods that also support the health and management of waterways. Green spaces around South Creek and its tributaries can be attractive locations for new communities and provide an amenity that supports liveability and productivity. Infrastructure NSW, in collaboration with the Greater Sydney Commission, is leading a whole-of-government initiative for the South Creek corridor. The vision is that the South Creek corridor is the central element of the urban design and water management of the Western Parkland City. This recognises the role of water in supporting healthy, liveable and sustainable communities (refer to Figure 48). As an urban parkland, the South Creek corridor will be designed to respond to its climatic and landscape settings. Innovative approaches will be investigated to incorporate the specific landscape and waterway features of the catchment into the design of new urban communities. Areas of higher density and high quality public spaces will be orientated towards waterways. Walking and cycling trails will connect continuous open space along South Creek. Regularly spaced bridge crossings of South Creek will provide ways to experience the parkland landscape and connect communities on either side of the creek. The design of bridges will respect the local environment and enable the movement of wildlife along the corridor. In older established neighbourhoods, urban renewal may improve access to waterways. In recently established neighbourhoods, environmental zones have been used along major waterways, marking a step towards a green parkland city. Maximising public ownership of riparian corridors will create opportunities to link areas of high biodiversity along waterways and create new open spaces, sportsgrounds and other places for people to enjoy. Well-maintained riparian corridors will also help to support healthy waterways by managing flows of water and nutrients from stormwater. 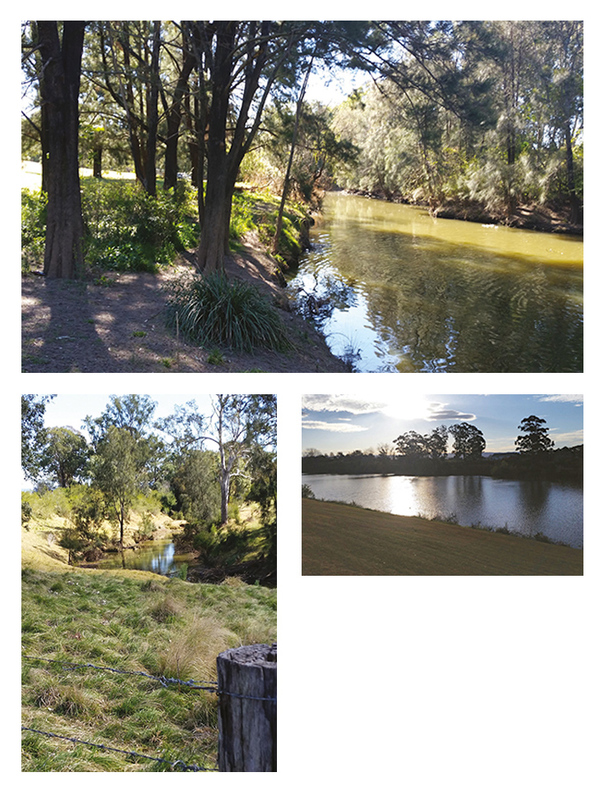 The management of the South Creek corridor is being supported by the Environment Protection Authority’s investigation for an integrated approach to waterway health and the potential use of a Protection of the Environment Policy for the South Creek catchment. 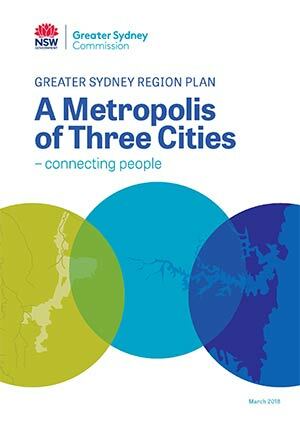 Infrastructure NSW to lead the South Creek Corridor Project, working with the Greater Sydney Commission. The outcome will be the creation of a cool and green Western Parkland City along South Creek and its tributaries. A continuous open space corridor along South Creek and its tributaries will be a defining structural element of the Western Parkland City. Water in the landscape will be managed to improve waterway health and the liveability of communities.